We’re approaching the end of September and it’s time to start thinking about the Holiday Season that seems to become earlier and earlier in the year. Yes the kids just went back to school. And yes today is the official first day of Fall. But in the retail world, the gloves are coming off in the Layaway Wars! And that’s to be used to the consumers advantage. ~ visit the site for more info and they have a payment calculator to help you budget. **Sears is family with Kmart and they offer a similar layaway plan. 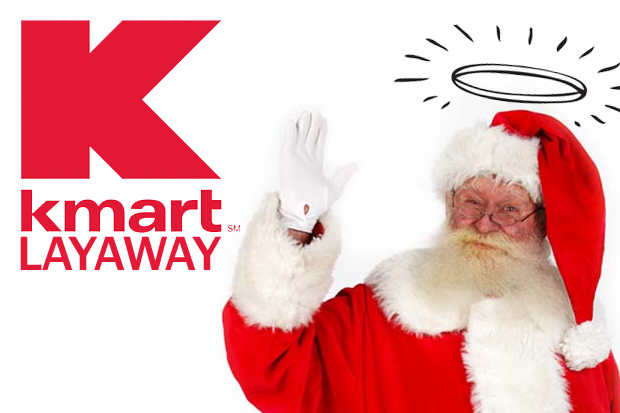 Visit Kmart.com for more details. The site was giving me errors so I really couldn’t get all the info I was looking for, but it appears to be very similar but their higher option starts with purchases $400+. Now on to Toy’s R Us. Toy’s R Us has been offering layaway for a few years now and each year they seem to offer a tad bit more. I don’t blame them. They’ve really had to keep in the fight against other stores like Walmart as well as all of the online competition. I had to scour the web to find out some solid facts on this year’s layaway options. Their site just gives very generic information and encourages you to go to the store for details. Well, Toy’s R Us is across town and I for one don’t have the gas to waste just to go get more information. So after some research I found a press release directly from the company giving me the extra info I was looking for. Now I will share with you! ~ layaway is available year around but for Holiday layaway if order is opened before 10/31/12 the $5 service fee is waived. ~ Payments may be made at any time at the store where the order was placed in the form of cash, check, credit card, debit card or gift card. ~ 50% of the total price of the order must be paid within 45 days and the order must be paid in full and picked up by December 16. That’s the roundup of the big box stores for layaway. If only Target would get in on the game, it would be amazing but I don’t see that happening anytime soon. With the financial times as they are, retailers are doing whatever they can to get you to spend the money you do have. Why not take advantage of getting items you know are on the top of your family’s wishlists and pay it over time? Last year I gambled and did ok but this time around I’m going to stick with layaway. I have too much planned and too much going on to really take the chance this year. I would prefer to have the less stress that comes with knowing I already got it handled. I already know one thing on the list, and it’s a gift to me from me, and that’s the new Ipod Nano! Now it’s time to devise the master plan and start to put things on layaway at the different stores. Will you be taking advantage of any of the listed layaway options this holiday season? thanks for stopping by and commenting! I appreciate it and am returning the follow! Dom over at Belleau Kitchen has been hosting a fab monthly bloggers challenge for quite some time now. Through his Random Recipes challenge he has asked us to share all sorts of weird and wonderful things from getting us to open our cookery books at random pages and cooking what’s on that page (no cheating! ), to baking with a random ingredient or theme, to photographing and sharing our cookbook collection.